Georgia Dunn Studio: The Twelve Days of Halloween: Day Five, Candle Cove! The Twelve Days of Halloween: Day Five, Candle Cove! Ghost stories can take many forms, and with the internet they can even take 'message board shape'. 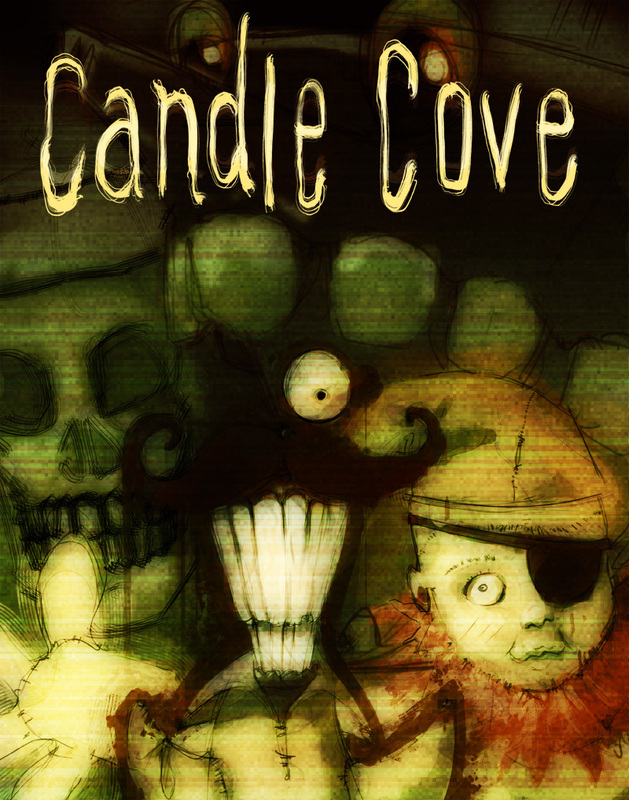 The clever folks over at Ichor Falls cooked up a truly haunting tale of an old kids show called 'Candle Cove'. You can read it for yourself HERE. It's a quick, good read--but I warn you it is pretty scary, so only read it if you can handle being creeped out by your tv screen for the next few weeks. It's 8:35 am here and I already have the willies from reading it (and I've read it before). Looks like it's cartoons for me for the rest of the day! Whoever created this got those teeth just right. 'Candle Cove' is my favorite form of the internet ghost story called "Creepy Pasta". Creepy Pasta is the Urban Legend's online cousin, with links, comments, and photos of folks playfully offering fright tales as testimonials across the web. While they're surely only stories (right?) they offer the same scare that the campfire uncertainty gave years ago. Someone tells you, "Now, this didn't happen to me, but it did happen to my cousin's friend" only now you don't have the flicker under roasting marshmallows to read their poker face. Somewhere across the internet they could be deadly serious. That was freaky! I'm kinda glad I didn't read it last night. The ending was awesome, though. I'm glad you didn't read it at night too! Both times I've read it have been in the morning--and it's STILL given me shivers! It's nice to see a story can still be so 'old timey scary' with such a modern format.